Without a doubt, Bulk SMS Service is increasingly becoming popular as time passes, and everyone carries a mobile phone as it has become affordable for all. The highlight of a mobile phone is its flexibility, which facilitates people to carry it anywhere they want. SMS service these days is all the rage all over the world and is readily used and people tend to know about advertisements. So avail of the service from a reputable bulk message provider and maximize the benefit of growing your business at a faster rate. The SMS are sent through the free bulk SMS software where you can write the message in the Excel sheets and send across your target audience right away. The SMS are sent and received from the computer and mobile phone through SMS gateway. It is a secure interface in which the company is assured that their messages will be delivered and no hindrance is going to come about in it. Mobile database is a planned way of organizing information. It is really a very great and effective way for marketing a business. It contains the numbers of mobile phones, which help you to send SMS to the target audience. It can be of any country or its state or places in it, for e.g. India. It can be purchased from a provider. The database is helpful to tap people from the desired place of the world at a time. At BroadNet, we believe that our website will serve helpful for people from all walks of life for a personal use or for commercial use for marketing a business. Our website offers the best services and state-of-the-art tools for Bulk SMS, Group SMS, Promotional SMS, SMS Gateway etc. It is really a perfect medium through which you can generate messages and send Group SMS to a mass of target people instantly. With the view to marketing your business and saving your valuable time, we guess group SMS is better, as it saves money and time. The bulk SMS strategy fundamentally helps the users to send messages to people at one fell swoop rather than sending the same message repeatedly to a mass of individuals. You can also use it by making groups on the basis of your relationships such as family, friends etc and send them message accordingly. Bulk SMS is a new and widely getting acceptance. Send bulk SMS and gain value in the world of business. 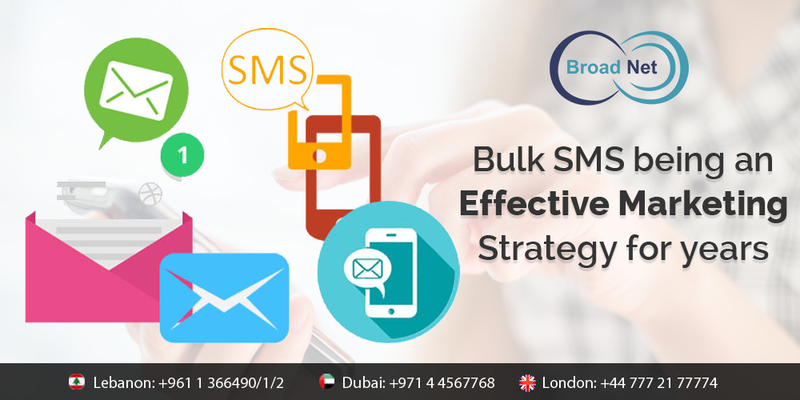 To get extra pull of information on our first-rate Bulk SMS Services, please log on to our website www.broadnet.me.